New Zealand’s Transpower was bringing a new 2-bundle electric transmission system through the country’s famously beautiful but ecologically sensitive terrain. Timberland provided four 9-tonne Puller/Tensioners to install the overhead lines. Delivery of the 4 custom-engineered Puller/Tensioners was required in a very tight time line to meet project schedule. The projects also called for a state-of-the-art control system with real time monitoring of project parameters. 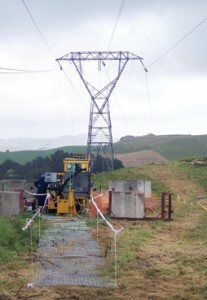 Despite the challenges of the rugged New Zealand landscape, the equipment performed well to meet Transpower’s requirements for successful completion.